criticaltosuccess.com The timeline static and dynamic chart shows the various static dynamic stages of a project in a chronological order. It provides an idea about the amount of time required to complete every stage and thus helps a company while undertaking similar projects. 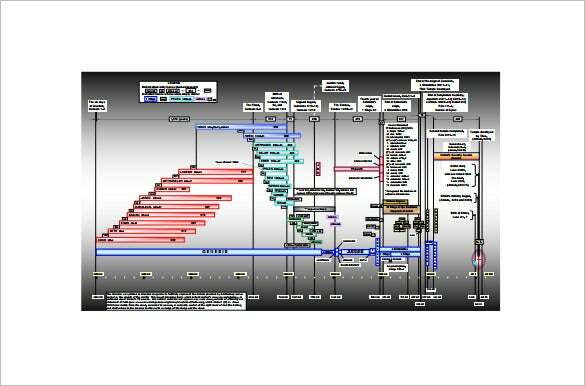 ganttchart.com The timeline gantt chart is a combination of both gantt chart inside the timeline chart. 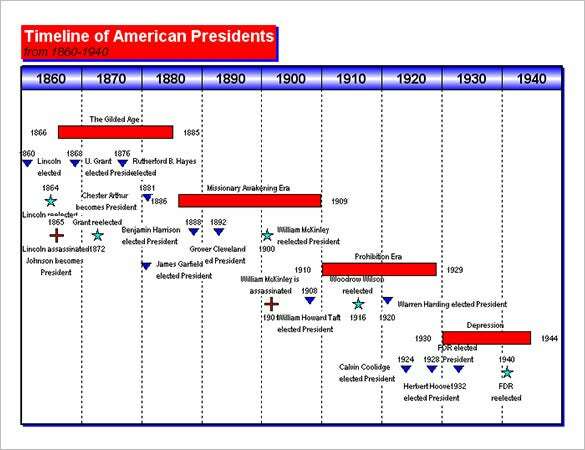 In the sample we can see the timeline of American president represented by timeline chart and the era are denoted by gantt chart. jan.ucc.nau.edu The timeline chart with overlapping events is used to document events which occurred at one particular time. 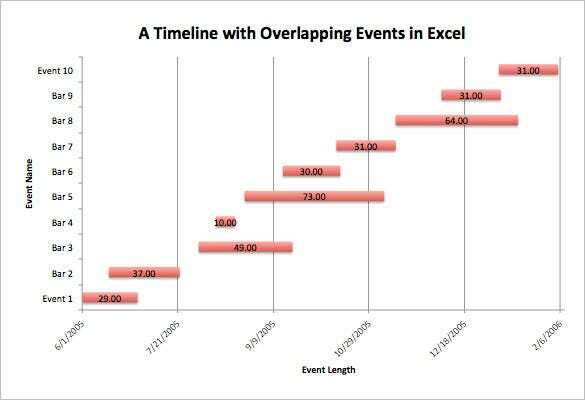 This chart helps us to understand and also keep track of the overlapping events of a particular time interval. 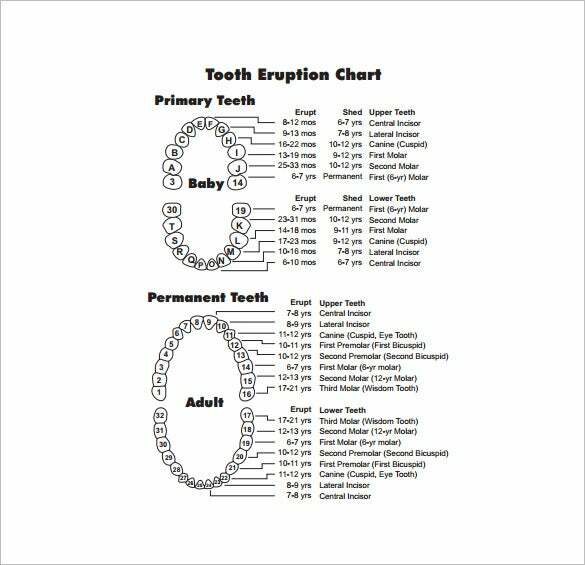 secretofthieves.com | The teething timeline chart provides an insight to the time required in growing teeth. The sample shows both primary teeth of babies and adults and the time at which they erupt from the gums. 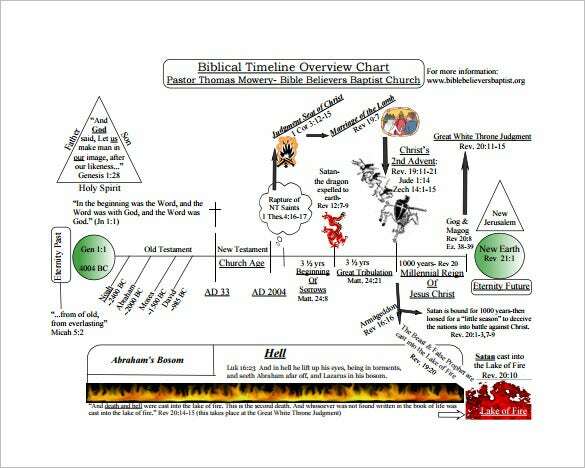 solascriptura-tt.org | The biblical Timeline overview is a timeline chart from eternity past to eternity future and denotes all the events that took place in between, like noah, moses, church age, great tribulation, etc. 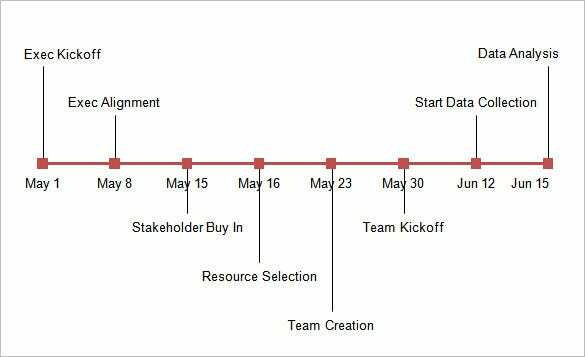 A timeline template chart is just that – a chart that records events that take place around a project with time, be it meetings or any other work that progresses with time while working on this project. Making a timeline project is an important process of getting ahead with your project. 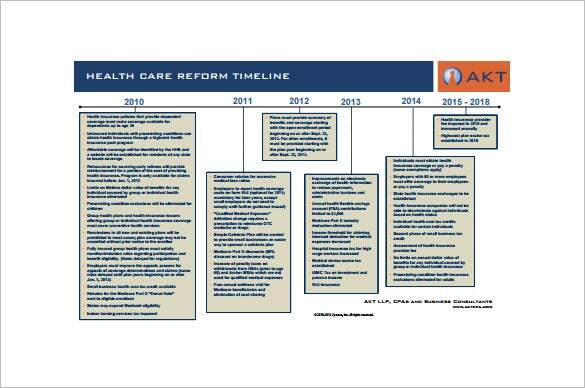 A timeline chart template is designed based on the necessity of the project and the parameters to be measured. 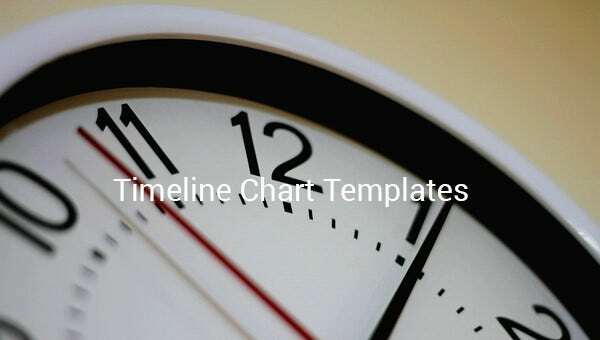 Before you download one of the sample timeline chart templates that we have got for free, you should know what a chart such as Free Chart Templates that is usually made up of. Here are all the components of a timeline chart template listed out.